Thanks to the release team ACK, I've started uploading Xfce 4.10 to unstable yesterday. For now, I've only pushed Xfce 4.10.1 desktop components, which means people using xfce4 + xfce4-goodies in unstable won't be able to upload at once. That's because panel plugins have a quite hard dependency on the running xfce4-panel, and the communication protocol has changed between Xfce 4.8 and 4.10. 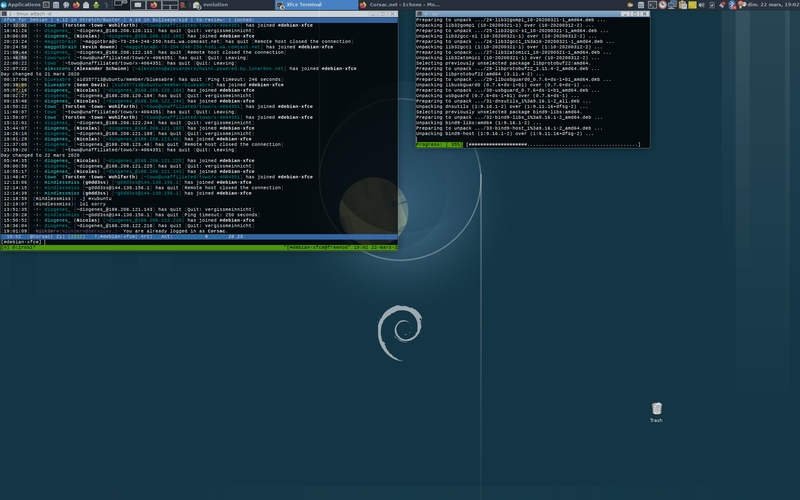 So all panel plugins need to be rebuild against the new xfce4-panel. I'll start uploading new releases or packages revisions this evening, and binNMUs will be scheduled for the rest, but it'll take some days. In the meantime, you can safely wait before upgrading xfce4. If you don't use external panel plugins, then you can accept to remove xfce4-goodies and the various xfce4-*-plugins and upgrade to xfce4 4.10. There's no need to report a bug about that situation, we're already aware of it and it's somehow intended, things will settle in a few days.